Murata Software will be appearing at Embedded World in the Exhibition Centre Nuremberg, Germany from February 26-28, 2019 in Booth 4-642, Hall 4 to exhibit Femtet’s influence on the future of engineering. Femtet is a CAE software that includes a 3D solid modeler, pre/post processors and solvers. Based on the finite element method, Femtet’s user-friendly setup helps engineers and product designers stay focused on development. For more information, please visit https://www.muratasoftware.com/en/support/brochure/. This paper will describe a NN-based key phrase detection solution designed for the network edge. 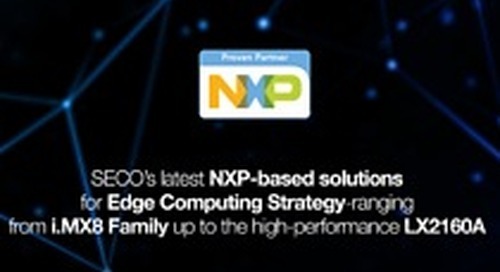 These Binarized models are available to run on low power UltraPlus™ FPGAs. Embedded Computing Design's Rich Nass talks with David Sroka of Microchip at Embedded World booth #1-510. Embedded Computing Design's Rich Nass talks artificial intelligence with Matthias Beer of MEN Mikro at Embedded World booth #1-406. Embedded Computing Design's Rich Nass talks with Eric Graber of Azul at Embedded World 2019 booth #4-500. Embedded Computing Design's Rich Nass talks with Crystal Group's Bob Haag at Embedded World 2019 booth #3-102. Embedded Computing Design's Rich Nass talks with Crystal Group's Toni Hogan at Embedded World 2019 booth #3-102. Embedded Computing Design's Alix Paultre discussed AIoT, GPGPU, and AI with Joe Lo from Aetina at Embedded World 2019 booth #1-259. Embedded Computing Design's Alix Paultre speaks with Rob Daunter from TYAN Computer at Embedded World 2019 booth #2-311. Embedded Computing Design's Brandon Lewis talks to Anthony Ambrose of Data I/O at Embedded World booth #4A-424. Dr. Paul Anderson of Grammatech discusses their Code Sonar tool at Embedded World booth #4-423. 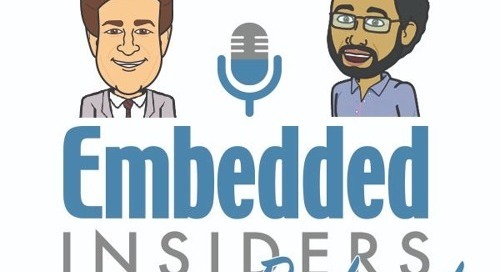 Embedded Computing Design's Alix Paultre speaks with Alex Wood from Avnet at Embedded World 2019 booth #2-238. Embedded Computing Design's Rich Nass talks with Rob Coombs of arm at Embedded World booth #4-140.